Today you have taken an important step towards feeling empowered and exploring a pathway towards growth and wellbeing. 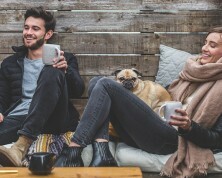 People seek psychological services for various reasons, ranging from anxiety, low mood, relationship difficulties, or deal with stressful life events. While we can't change difficult situations of the past, you can work together with a psychologist to bring a new perspective to the challenges that you are experiencing, make changes in the way you think, feel and behave as well as develop effective coping strategies. Dr. Ahmed and associates is a psychology practice in downtown Toronto of registered clinical psychologists who believe in providing a highly personalized approach, tailored to each of their client's individual needs, to help attain the goals they’re striving for. Dr. Ahmed and associates believe that each client seeks therapy with their own expectations about the therapy process and gains they are hoping to achieve after participating in sessions. In collaboration with their clients Dr. Ahmed and associates develop the ideal treatment plan that uniquely addresses their presenting concerns. 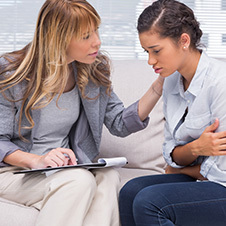 The approach to therapy for Dr. Ahmed and associates is grounded in research based treatment, Cognitive Behavioural Therapy (CBT) and they often integrates elements from other therapeutic modalities, such as Mindfulness, Schema Focused Therapy, Motivational Interviewing and Client Centered Therapy, as needed based on their client's needs and preferences. Dr. Ahmed and associates provide services for individuals and couples. They are experienced in providing the Gottman method for couples, Emotion focused therapy and Integrative Behavioural couples therapy. In working together with their clients, Dr. Ahmed and associates aims to foster a genuine, non- judgmental and empathic relationship to explore their concerns and develop strategies to meet each individual's unique goals. They believe in providing a collaborative environment where you can openly discuss your concerns. Dr. Ahmed and associates aims to provide an opportunity for clients to develop and work on their clearly defined goals and to facilitate the development of skills that can be applied long term. If you're looking for extra support and guidance through a challenging situation or you are just ready to move in a new direction in your life, Dr. Ahmed and associates looks forward to working with you. 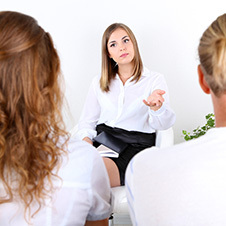 There can be a variety of reasons people may feel the need to seek therapy.